UP's LPA81 crew starts pulling empties at the Edgewater Generating Station in Sheboygan. 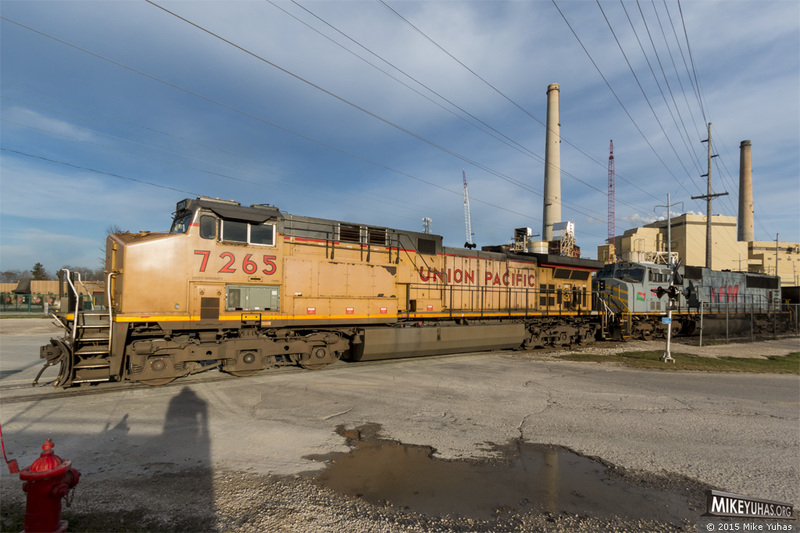 Lead unit is a fairly typical Union Pacific AC4400CW; the trailing unit, TFM SD70MAC 1619 is an unusual visitor. This may be the first occasion a Kansas City Southern de M�xico unit has ventured up the UP Shoreline Subdivision.